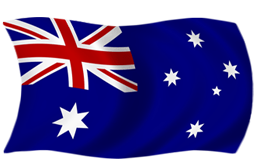 Australia’s national flag was chosen from a competition held in 1901, the year of Federation. It is comprised of the Union Flag and Federation Star. Six of its seven points represent the six States that formed the Commonwealth and the seventh, the two Territories. The primary feature is the five stars of the Southern Cross, which can be observed in the night sky from every part of Australia. 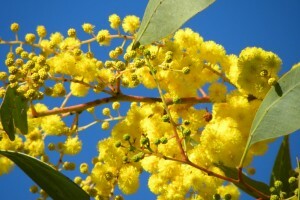 The Golden Wattle, (Acacia Pycantha Benth), has appeared on Australia’s coat of arms since 1912 and was officially proclaimed Australia’s National Floral Emblem in 1988 at the time of the nation’s bicentennial. A badge to wear every day Aussie Pride badges make the perfect presentation pin for Citizenship ceremonies, for school awards, or for recognition for your staff. The wearing of a Rotary Aussie Pride badge is the perfect way to display pride in our country and our way of life.